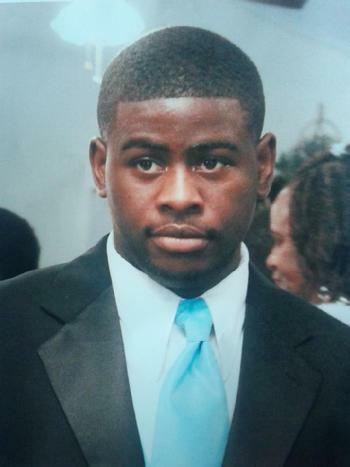 Markus Smith, 23, of Lufkin, has been missing since Saturday morning (Novembr 28, 2015). Divers Called Off in Search for Missing Lufkin Man, NORTH POLK COUNTY, December 3, 2015 - The search for 23 year old Markus Smith, of Lufkin, continues but will no longer have the aid of a dive team. Smith has been missing since Saturday morning when he was a passenger in a car that drove into the Neches River. The car was driven by 23 year old Adrian Segura, also of Lufkin. According to Segura, he was north-bound on US-59 and left the pavement to the left, rolled down the embankment and into the the Neches River. Segura escaped uninjured. Segura alerted Diboll Police about 3 hours later. According to Texas Game Warden, Shawn Phillips, "We have exhausted all resources we have with the dive team we have at this time," Phillips said. "We will not be sending the dive team out anymore. They could not find a target in the water with the sonar equipment." Phillips explained the science of the situation; "It is all physics," Phillips said. "If the body is down there it is dead weight so he will not be going anywhere ev en with the current we have,". Phillips continued, "Once the gasses in the body build up the body will then float up to the surface. With the cold weather that could take a little bit of time." Game Wardens will be checking the site daily. Car Crashes Into River, 1 Missing, NORTH POLK COUNTY, November 30, 2015 - At 9:35 am on November 28, 2015, Lufkin DPS Communications received a report of a one vehicle crash on US-59 at the Neches River Bridge (on the Polk County Side of the River). The preliminary crash investigation indicates that a black 2014 Dodge Challenger driven by Adrian Segura, 23, of Lufkin, was north-bound on US-59. Segura's vehicle left the pavement to the left drove down the embankment and into the Neches River. Segura was not injured in the accident. According to Segura, he was traveling with Markus Smith, 23, also from Lufkin. At time of press, Smith has not been located. An intensive search of the Neches River was conducted the same day (11/28) and continues at this time. Texas Parks and Wildlife Game Wardens, Polk County DPS Troopers, Angelina County Troopers, and the Nacogdoches Fire Department Dive Team continue their search for Smith.